Former Clippers forward Lamar Odom Odom will be required to submit to a mandatory evaluation by the director of the NBA’s anti-drug program if the veteran free agent receive a conviction for driving under the influence, according to terms of the league’s collective bargaining agreement. Lamar Odom’s problems may be just beginning. Odom will be required to submit to a mandatory evaluation by the director of the NBA’s anti-drug program if the veteran free agent receive a conviction for driving under the influence, according to terms of the league’s collective bargaining agreement. Police arrested him Friday morning on the suspicion of driving under the influence after California Highway Patrol officers saw him moving erratically on the 101 Freeway in Sherman Oaks. CHP spokesman Officer Leland Tang said the 33-year-old Odom was driving well under the speed limit at just 50 mph in a 65 mph zone before he was pulled over at 3:25 a.m. Odom also will have a suspended license after failing several field sobriety tests and refusing to take a blood test or breathalyzer. Odom is scheduled to appear in court on Sept. 27. Odom’s arrest coincided with a week-long flurry of reports on his apparent addiction to crack cocaine. Under the NBA’s labor deal, Odom could receive treatment for drug addiction if he voluntarily admits using should he receive an invitation to play for an NBA team during training camp. The NBA immediately disqualifies any player that tests positive for any drugs except for marijuana. In 2001, Odom admitted as a Clipper using marijuana after the NBA suspended him for violating its anti-drug program twice in eight months. In a sign that suggests he may have hit rock bottom, Lamar Odom has Dennis Rodman of all people questioning his recent behavior. Yes, the NBA Hall of Famer that sparked attention for his colorful hairdos, head-butting a referee and dressing up like a woman has raised his eyebrows at Odom for suffering reported drug addiction and marital problems with reality television star Khloe Kardashian. Odom was also arrested Friday morning for suspicion of DUI and will have a suspended license for failing several field sobriety tests. No longer will Pau Gasol’s effectiveness on the Lakers hinge on if the team features him enough on offense. With Dwight Howard’s departure to the Houston Rockets via free agency, Gasol is expected to return as the second option behind Kobe Bryant, a formula that helped secure three consecutive NBA Finals appearances and two back-to-back championships? Will that prove enough for Gasol to have a breakout season? That became a topic of discussion on Time Warner Cable’s Access SportsNet Thursday night where analyst Dave Miller, 710 ESPN’s Beto Duran and I looked into all the variables surrounding Gasol’s play. 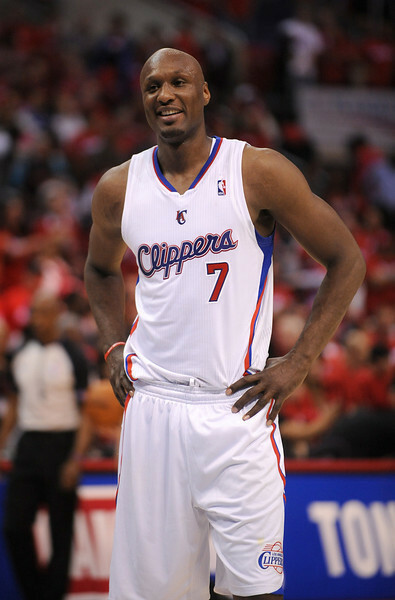 As Los Angeles Daily News police reporter Kelly Goff reported, former Clippers forward Lamar Odom was arrested early Friday morning for DUI suspicion after California Highway Patrol officers saw him moving erratically on the 101 Freeway in Sherman Oaks. Goff talked to CHP spokesman Officer Leland Tang, who said the 33-year-old Odom was driving well under the speed limit at just 50 mph in a 65 mph zone before he was pulled over at 3:25 a.m. Odom also will have a suspended license after failing several field sobriety tests and refusing to take a blood test or breathalyzer. Kobe Bryant remains determined to prove everyone wrong. He wants to prove he can return from a torn left Achilles tendon and still play at an elite level. He wants to prove that the Lakers can still win an NBA title despite persisting questions surrounding their health, old age and significant departures in Dwight Howard and Metta World Peace. And judging by the first vine post, Bryant also wants to prove that nothing surrounding his rehab will inhibit him one bit. As shown in the video above, Bryant took a 40-foot plunge from a high dive into a pool recently, a fairly risky and potentially painful move for someone rehabbing his Achilles tendon. 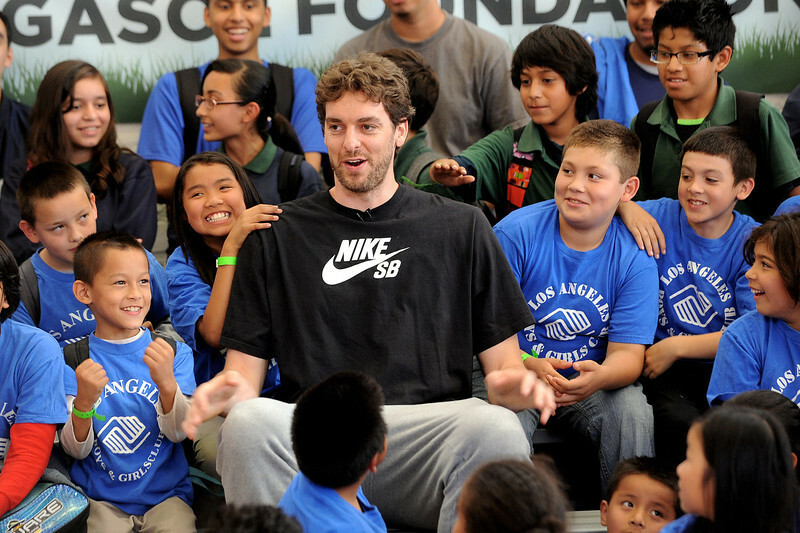 Pau Gasol has started running yet, but it’s not on the hardwood. In what marks a gradual approach toward rehabbing his knees, Gasol spent part of Thursday running instead on grass. This evening I'm going to continue getting better. Weight room workout and then running on grass. Every day one more step forward. It appears that Lakers fans are in the second stage of grief. First came the shock surrounding the Lakers’ 2012-13 season unraveling in every way imaginable. A star-studded lineup featuring Kobe Bryant, Dwight Howard, Steve Nash, Pau Gasol and Metta World Peace believed as a championship contender morphed into a team falling out of the first round, riddled by overlapping injuries, competing agendas and a swift coaching change. Now it appears Lakers fans are reaching denial. The Lakers field plenty of uncertainty ranging from health concerns surrounding Bryant (Achilles), Gasol (knees) and Nash (hamstring), departures to key defenders in Howard (free agency) and World Peace (amnesty provision) and a star-studded Western Conference (Oklahoma City, Clippers, San Antonio, Golden State, Houston). Yet, a 31.85 percent plurality in a recent Los Angeles Newspaper Group poll voted that the Lakers will win the 2014 NBA championship. Now more than ever, the shoes Kobe Bryant wears could play a large part in his success. That’s why in the midst of rehabbing from his torn left Achilles tendon, Bryant had Nike custom-make a pair of shoes so that he’d have a comfortable fit without compromising his recovery process. 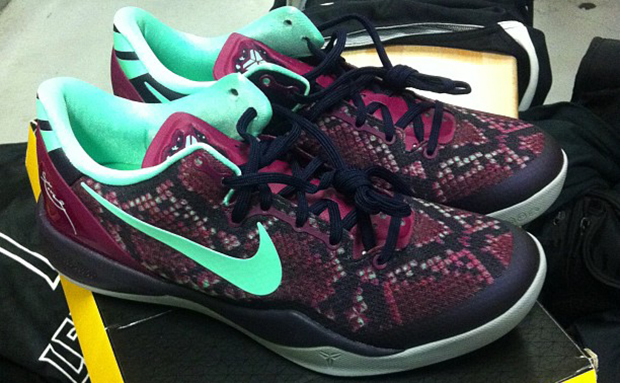 Meanwhile, “Kicks on Fire” released a teaser on Bryant’s “Pit Viper” edition of the popular “Kobe 8’s.” Beyond the commercial appeal Nike provides, Bryant has frequently lauded the shoe because of the light fit that allows him both to move with ease on the court while providing enough protection and comfort. 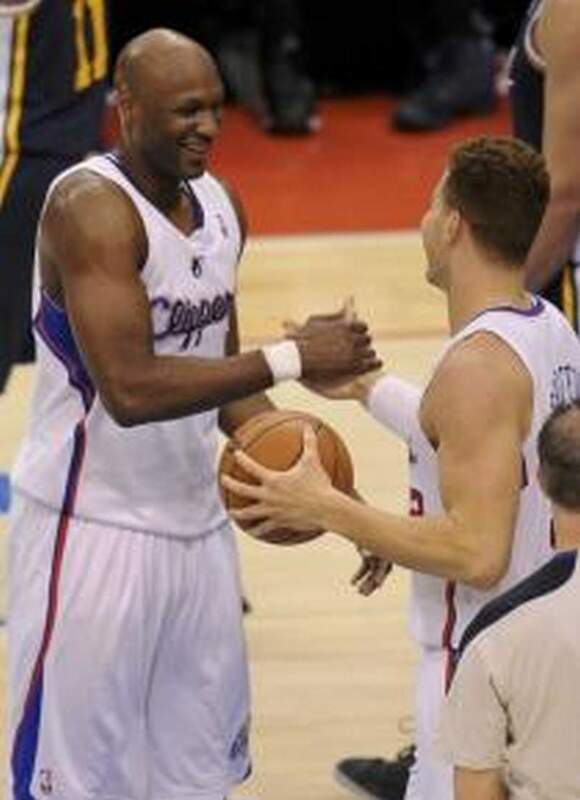 This hardly seems to be the episode Lamar Odom wants aired out on reality television. Amid reports that Odom has suffered from drug addiction, it appears fewer and fewer teams are interested in his services. After planning to officially sign veteran forward Antawn Jamison Wednesday at the veteran’s minimum worth $1.4 million, the Clippers no longer are interested in resigning Odom, according to a league source familiar with the team’s thought process. Once Jamison’s signing becomes official, the Clippers will have 14 players under contract, one player shy of the NBA’s imposed maximum number of players allowed on a roster. But the Clippers plan to fill out the last roster spot at some point during training camp, which begins in late September, according to a source. 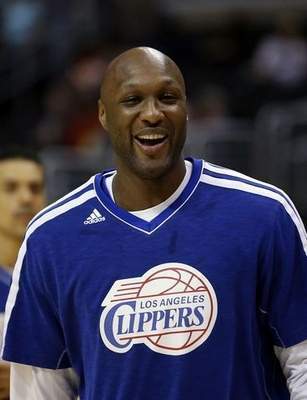 The Clippers would welcome Odom to training camp, though it remains unclear if he’d be interested in just that. Odom’s agent, Jeff Schwartz, hasn’t responded to numerous requests for comment regarding his client in recent days. The Clippers had wanted to retain Odom at the veteran’s minimum despite spending the first half of the season out of shape and averaging four points on 39.9 percent shooting and 4.4 rebounds. Those numbers marked his lowest statistical output in his 14-year NBA career. But the Clippers’ sentiments quickly changed amid reports of Odom’s drug problems and after agreeing to terms Monday with Jamison. 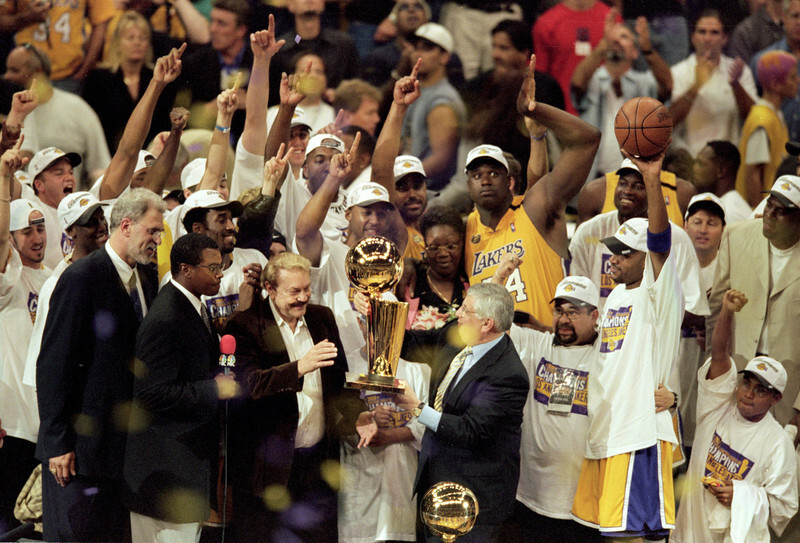 The images surrounding Pau Gasol helping the Lakers toward winning an NBA championships remains a distant memory. In the past three seasons, other sights stick out. The Lakers forward has become trade bait after the team’s unsuccessful attempt to trade him in the original Chris Paul deal. Gasol has tried to overcome reduced roles to accommodate Andrew Bynum and then Dwight Howard. Gasol hasn’t been fully healthy, either. 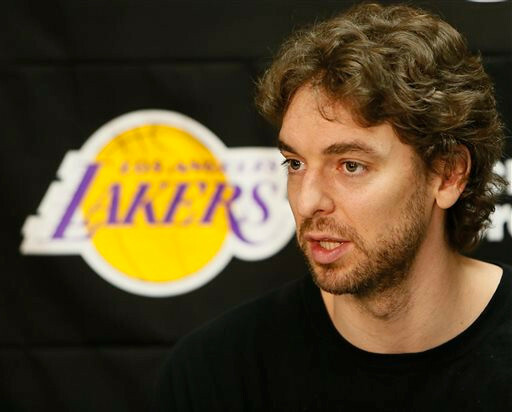 Yet, Gasol seemingly has nine lives when it comes to his time with the Lakers. With Howard’s departure, it’s presumed Gasol will have a larger role in the post, a key factor that ensured the Lakers to three Finals appearances and two NBA championships. But an important variable remains unanswered in determining how successful Gasol becomes next season in what will be the last year of his contract worth $19.3 million.